UPDetectives.com are a world renowne set- up. The name you can trust. The intelligence and reports you need. Our specialization lies in client's satisfaction. It consists of a team of highly Profficienced & Experienced Agents having specialized experience in different fields. They are expert of investigation, confidential verifications and inquiries for business, personal services, moveable and immoveable assets verification, corporate services including criminal investigation and consultancy into the affairs of custom, sales tax and income tax. Legal and specialized services are also being provided by our legal experts. 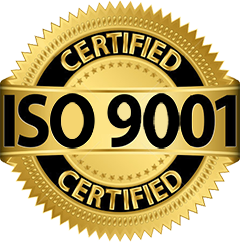 Our company provides solutions to clients honestly, quickly and cost effectively relating to our services. Why you should choose Only Uttar PradeshDetectives.com ? Most importantly, because we are UP's Local Detective Agency from your own City & State, the handpicked tough & trained intelligent male & female agents. Our core strength is Private Investigations in Uttar Pradesh( Agra, Allahabad, Bhadohi,Dadri, Dharchula, Gorakhpur, Kanpur, Khunwa, Loni, Lucknow, Meerut, Pantnagar, Saharanpur, Sonauli, Surajpur, Varanasi.). As UPDetectives.com is a local agency, having local agents, we know the language, history & geography of UP and the City & Area of action, knowing the people, places, politicians, the good and bad guys in town, every road, nooks & corners, the local environment at its best, thus it makes us the best agency to deal with. 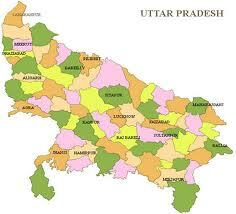 We have friends and contacts almost everywhere in UP etc. are a very few reasons why you should only choose UPdetectives.com. Although, there are more than 2000 "So to Say" Detective Agencies in Uttar Pradesh, most of them are Security Agencies but claim to be Detectives also, you cannot expect a security guard or even a security officer to conduct secret investigations. Also, off late many "Fly by Night Detective Agencies " have popped up in Uttar Pradesh, even Marriage Bureau's, Placement Agencies, Mobile Phone Shop, Wine Shops, Beauty Parlors, Recovery Agencies, Advocates & even Small Criminals advertise to be detectives thus, one has to be very careful before revealing their secrets to others. To be a detective one should have the necessary special aptitude, training, experience & most essentially the character of the highest level, moreover it cannot be a part time job as it requires complete involvement & dedication. Our Company's name says it all that we are purely a "thorough bred" Detective Agency with a strong presence in Uttar Pradesh rendering services since the last 34 years. Above all we are professional and experienced fact finders. When there is a question you need answered, we will help. We provide only the facts and so we call it "A Fact Finding Mission".